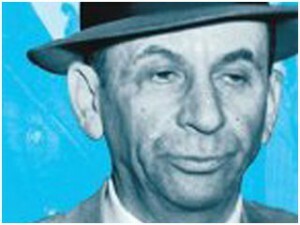 Step back in time and visit the famous Hotel Riviera built in the 1950s by the Miami firm Polevitzky, Johnson and Associates and run by the gangster Meyer Lansky. You’ll find all the fittings and features more or less the same, but come here to experience the well-preserved mid-century architecture, not to stay. 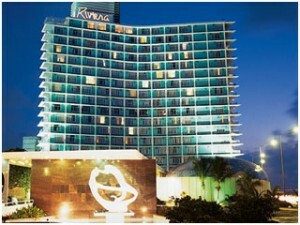 Grab a drink in the lobby bar or take a dip in the pool where you’ll find a triple-tiered concrete diving platform. And check out the Oscar Niemeyer sculpture out front before leaving. 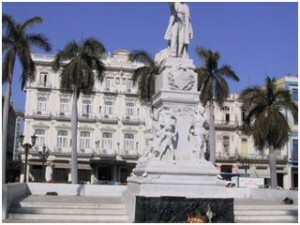 Located in old Havana this is the oldest square in the city, and where the city was founded. You’ll find all the book vendors selling their books while playing chess or debating philosophy four days a week. Then take a walk around the Captain Generals house, a wonderful museum with artifacts from the 1700s. The building began construction in 1776 and was first a church, then the residence for the Spanish Captain General from 1791 to 1898, housed the US military from 1899 to 1902, and after became the president’s palace. The president moved out in 1920 and since 1968 it’s been a museum. It’s a beautiful building full of stained glass and huge chandeliers where you can really get a sense of what it was like when the Spanish first occupied Cuba. Finally, grab a pina colada and check out the view of the plaza from the balcony of the charming Santa Isabella hotel. Also, keep in mind that a couple of days during the week, next to the Santa Isabella hotel, there is a street market which is great to pick up souvenirs. Many of Havana’s old buildings have received a facelift thanks to this government fund. 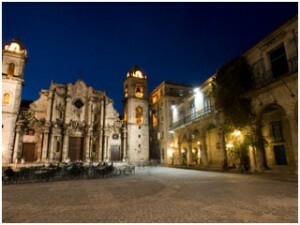 Profits made from restaurants, hotels, and other businesses of old Havana are given directly to the restoration of the city. Public projects are variegated like nursing homes for the elderly, a day-care center for children with degenerative disease, public housing, and cultural projects. When in Plaza de Armas see the work of this great project by visiting the new public library. 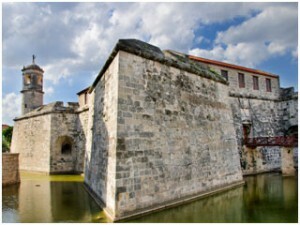 Then head to the newly restored Castillo de la Real Fuerza (Calle O’Reilly, No. 2), one of the oldest colonial structures in the Americas. Completed in 1577, it was used as a defense against invaders. Currently it is open to the public. 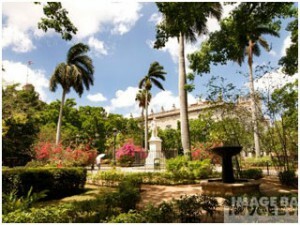 See the beautiful restoration and stop by the Museo Nacional de la Ceramica Cubana, housed inside the castle. It has some great pieces by international and Cuban artists. Next door you’ll find Palacio del Segundo Cabo (Calle O’Reilly, No. 4), which used to be the Spanish Royal Post Office and then was the home of the Vice-Captain General of Cuba. Now it’s a museum where you can appreciate the Baroque architecture with Moorish details, and its three bookstores inside. Visit the mezzanine level and buy some art by famous Cuban artists in the gallery. Outside of Plaza de Armas, get in some quiet and meditation by visiting two restored religious buildings. First at the neo-classical Catedral de Habana (Calle Espedrado No. 158), light a candle and then view the amazing works of art hung on the walls. On Saturday nights, Basilica Menor Convento de San Francisco de Asis (Calle Oficios, entre Amargura y Brasil), a major religious site in the eighteenth century, holds chamber and choral concerts in the main hall of the church. Take a walking tour of old Havana, starting at Cathedral Square, where the streets are full of life with musicians and lively locals wearing colorful costumes for pictures. Check out the local patio, which is great for dinner as the square is extremely pretty lit up at night. Next, walk along Calle Obispo for some shopping. Past the old pharmacy, stop at the music store to pick up some fantastic Cuban music and finally end your walk at the El Floridita for a cool cocktail and a snack. It’s Havana’s premiere bar-restaurant, frequented by Ernest Hemingway. 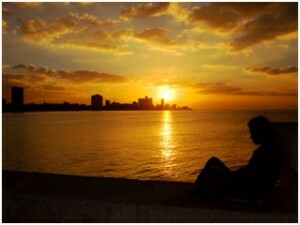 Take a romantic night stroll along the Malecon at sunset. Enjoy the local flavor as the locals jump in for a quick swim, the men fish, some people party, and a few even bring offerings to ancient gods. Kids play on the rocks between the wall and the ocean, and lovers meet for romantic encounters. Watch the locals in Parco Central do their thing and then try to catch a ballet or opera at the Grande Theatre, or “Gran teatro,” with its Neo-Baroque style of architecture, and ornate golden hues. After a performance, eat dinner on the rooftop of the Hotel Inglaterra next door. You’ll eat fantastic Cuban food with a view of the entire city. This notorious Neo classical style hotel is where Sandra Bernhard had an affair with the Spanish bullfighter Mazzantini, in the late 1800s. It looks much like a replica of the Washington Capitol building and built between 1926 and 1929 by Enrique Garcia Carrera. 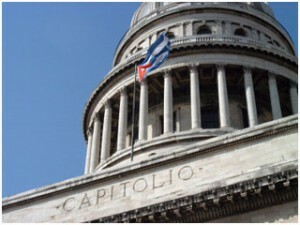 It was the seat of the Cuban Congress until 1959 and now houses the Cuban Academy of Sciences and the National Library of Science and Technology. Admire the fantastic architecture of the capital building from the outside or pay a nominal admission and enjoy the playful acoustics in the Hall of the Lost Steps, vast library, and original fine art found throughout the capital building. Outside, visit one of the men who take your photo with a pinhole camera on the steps of the capital. 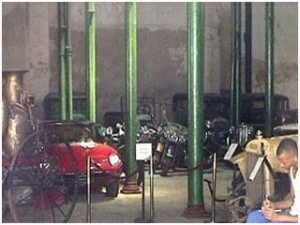 You’ll find an amazing exhibition of classic cars here, including the Cadillac used by Ernesto Che Guevara. Don’t leave Havana without at least trying to attempt dancing some salsa, and Palacio del Salsa is one of the best places to go. The rhythm of the dance is a bit tricky but once you get the hang of it, you’ll be smiling along with the locals as your hips sway to the beat. Here is the political center of Cuba. The first modern building was built here starting in 1950 under the direction of Batista. Most of the buildings are governmental but you’ll want to visit Plaza des Revolution to see the steel silhouette of Che Guevara. 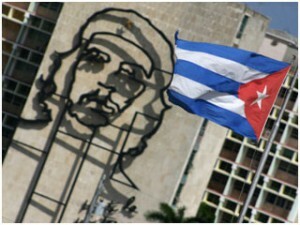 The world famous image comes from the iconic photograph by Alberto Gutierrez and commemorates the revolution. 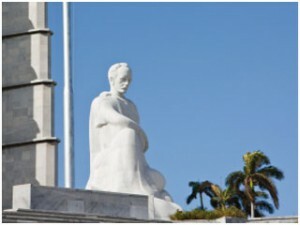 Also visit the astounding Memorial y Museo a Jose Marti, built in the 1950s, is dedicated to the Cuban hero, writer and activist Jose Marti. Take the elevator up and see one of the best views, as this is one of the highest points in Havana. Then visit the statue of Marti in front of the monument, and you’d be at the place where Fidel and Che seduced the crowd so many years ago. Discover an expansive collection of objects here from the liberation struggles from the Spanish to the Cuban Revolution, all housed in what used to be the president’s palace. See documents, photographs, videos, and two impressive life-size sculptures of Ernesto ‘Che’ Guevara and Camilo Cienfuegos. One of my favorite parts is the comical CIA plots on Castro’s life. 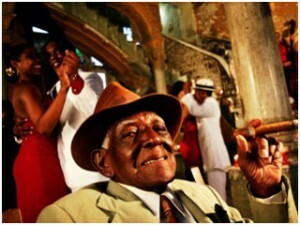 When you visit some places around Havana keep in mind that many used to be old Mafia hangouts. The most popular are the Riviera, The National and Capri hotels, as well as the barbershop under the Cuban Institute of Radio. It’s across the street from the massive Capitol building. You’ll know where the cigars are being made because the colorful maroon and cream exterior of the building. 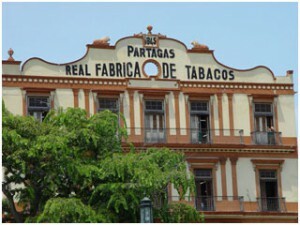 It was built by the American Tobacco Company in 1888. You won’t be able to take photos inside but you’ll remember the sweet smells and the craftsmanship that goes into each cigar.